The Spring Mirror is as radiant as the sun itself. The frame is fashioned from wood into a round shape with a window pane effect. It is finished in a bright gold giving off a captivating glow. 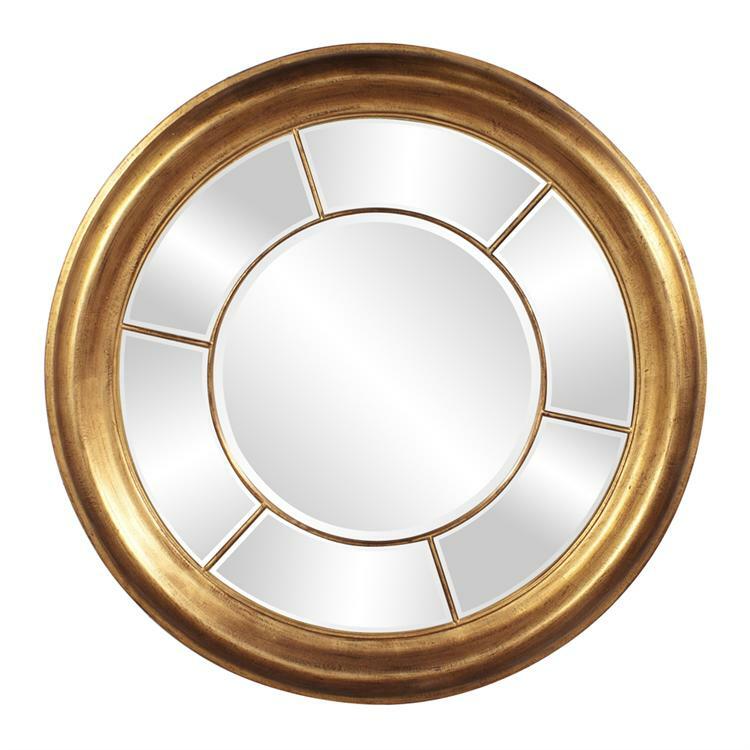 The Spring Mirror is a perfect focal point for any design. Each glass panel on the piece is beveled adding to its style and beauty. Customizable for larger orders.